I thought the next part of my retro series might be a few posts about dressing various body types and figures. Allow me to say at first that I’m not a trained stylist or anything like that and that I have less experience with some body types than others. So yeah, my word is not gospel. If you think you look great in a style that I tell you should be unflattering to your body type, keep wearing it. These are guidelines, not commandments and I’m not your judge. The most important thing is that it works for you. Secondly, figure and body shape are not automatically correlated to weight or size so please don’t make the mistake of assuming that all size 4s are rectangular or that all size 16 are apple shaped. Why? Because it’s just not true. Lastly, the word curvy will not be used as a substitute for plus sized. Curvy means a person with curves, aka a certain figure dependent on hip/waist/bust ratio. Look back to point two again, people can have curves at any size or be rectangular at any size. So, now on to the fun part. Characteristics: waist noticeably smaller than hips & bust, not unusual to see variation of several sizes between different parts of the body, stores fat around hips, thighs, and chest area. Typical problems when shopping: tops that are too tight in the bust area, pants that fit the hips & thighs gaping at the waist, button up shirts that gape, pants that don’t go up high enough and thus end up showing your underwear when you sit. Bras. Swimwear in general. People to draw inspiration from: Christina Hendricks, Nigella Lawson, Scarlett Johanson. (and yes, Kim Kardashian). Fashion has a very ambivalent relationship with hourglass figures, on one hand we’re often told that it’s a body shape people want to have and idealise, and on the other the industry that tells us this still refuses to make clothes that flatter hourglass figures. Just look at how the world reacted to Christina Hendricks, regular people looked at her as if she were a beautiful alien or a freaking unicorn whilst those with an hourglass figure immediately asked where she bought her clothes. The good thing is that it’s mainly current fashions that take this approach to the hourglass figure, a lot of the vintage styles are actually very flattering for hourglass figures. 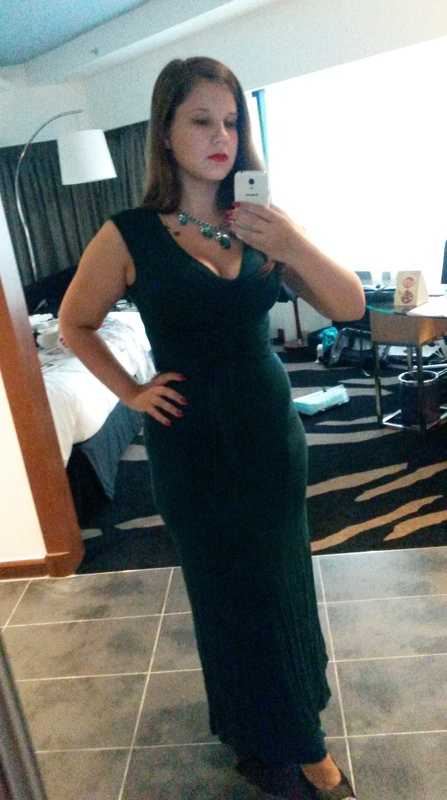 Dresses: I’ve already raved about wrap dresses and that’s because they work amazingly well with hourglass figures. A good wrap dress can be your best friend. With sleeves, be careful that they don’t cut your arms off where they’re the widest as this tends to make your upper arms look disproportionately large. The single most important thing to remember is that dresses need to be fitted at the waist. This is a pretty good example of a casual dress that works with an hourglass figure. In regards to necklines move towards v-necks or scoop necks (seriously look at that purple dress, its goddamn gorgeous and I’m so mad my size is sold out). Be really careful with turtlenecks as you risk looking very matronly. This dress seems to have gotten a few negative reviews, but it is a good example of a shape that looks good on almost any hourglass figure. Wiggle dresses look absolutely gorgeous on an hourglass figure, but do keep in mind that they’re often designed to create the illusion of an hourglass figure rather than actually fitting an hourglass. I’d recommend checking the measurements at least twice, ensure it has stretch, and try one on before you actually purchase one. If you go for a maxi dress, go for one that follows your natural shape. Yes, I’ve shared this photo of me before, but I think it’s a good example of a maxi dress that works with you and not against you. One thing to keep in mind if your hips are wide is that almost any underwear you wear will dig into your hips and thus create that weird little dent in your side that makes it look like you have love handles even if you don’t. The cure for this is often more structured fabrics rather than soft jersey, you can opt for a slip or even a girdle. It’s just one of those small annoyances that comes with round hips and fitted dresses. Dress types to avoid: This is an example of a dress with a neckline that does not look too flattering on an hourglass figure. The least flattering thing you can wear as an hourglass are dresses that are either rectangular or deliberately shapeless since this tends to draw focus only to your widest areas and completely drown your waist in fabric. Skirts: Yes, pencil skirts will look amazing on you if you find one that fits (same problem as with wiggle dresses). Once again, the most important thing to remember is a marked waist. The photo to the right is one of me trying to show a casual skirt that works pretty well with an hourglass figure. Not the best photo given that it’s so dark you can’t see the bloody shape of the skirt. But yeah, take advantage of your natural waist and let it do the work for you. One problem you might run into is that skirts will often look shorter on you than on other people, especially at the back. If you want a skirt with a bit of volume to it, look for one that is knee length. Here’s a good example of one that would work well with an hourglass figure. Skirts to avoid: Anything that cuts you off in weird places. This is an example of a skirt that is rectangular and then spreads, I’m not even sure what the fit is called but it’s going to make your hips look even larger and fails to mark your waist. Essentially avoids anything that looks like a square. This is an example of a really cool skirt but that is a length that cuts the model off in a really weird place and actually looks really unflattering even on someone with great legs. If you suspect that a skirt might be cutting you off in weird places, try different kinds of heels as they can sometimes alter your body shape quite significantly. Be careful with skirts that are meant to sit on your hips as they will not stay there. Skirts (and everything else for that matter) will seem to be naturally drawn to your waist and thus a lot of skirts ride up as you wear them, which affects their length. Tops: Button ups are a challenge, but if you want to wear them, aim for the ones that have a bit of a v-neck and can be tucked into a pencil skirt. Or the ones that have a fitted waist on their own. Again, make sure to work with your body shape and not against it. Most tops are going to look good on you, just stay away from things that are rectangular/boxy or downright shapeless. Also be careful with ruffles as they tend to make your chest look even bigger. If you want to wear a tunic, combine it with something that marks the waist no matter if it’s a belt or a bow. Bottoms: This is the most difficult part. Fit is everything when it comes to the combination of hourglass and pants. If you’re normally a medium and then try on a pair of pants in a fit that doesn’t work with you, you could have to go up 2-4 sizes before they even somewhat fit. High waist is the key, as are an avoidance of flare. The fashion industry seems to think that boot cut and with wide legs is the only way to go. The thing is, your entire bottom section will look heavier if you add tons of fabric to your legs. It’s the same idea as avoiding fabric that drowns your waist, don’t let your widest part set the theme for the look. I’d actually recommend wearing jeggings that look appropriate and not like glorified stockings. The reason you don’t see a link to an item in this section is the fact that I didn’t find any truly good options on Modcloth. You might want to consider high waisted jeans shorts. Shoes: You can quite easily wear almost any types of shoes. Just be careful with anything that’s extremely chunky (think 90’s revival) or things that look too… flat. Of course you don’t need to wear heels all the time, but be careful with things like converse as they tend to negate the benefits you get from wearing shapely clothes. Shoes are meant to continue the theme of your clothes and work with them rather than against them. That’s the only thing you need to keep in mind. Retro Essentials: 5 ways to wear retro scarves.